I hope you have been saving your turkey like I have. 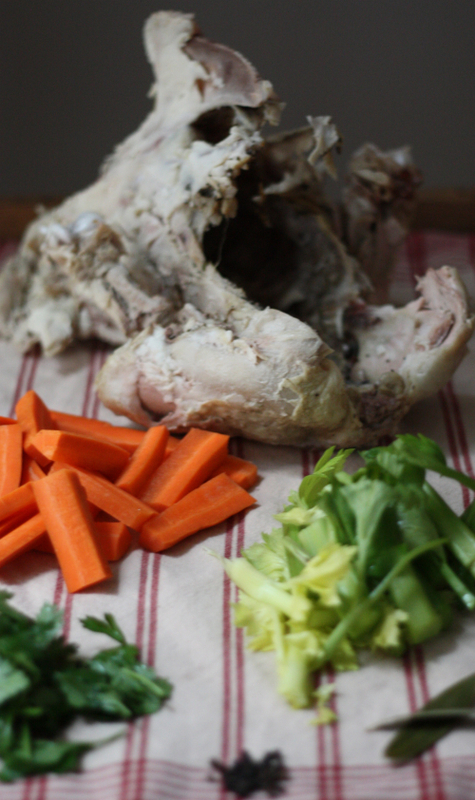 There is an easy way to make turkey broth which not only helps the budget but it also helps clean out the fridge and pantry by using up other things leftover from the big holiday meal. 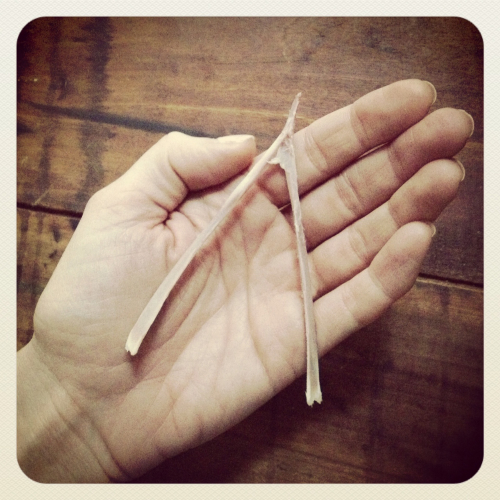 After you have carved your turkey, cleaned and saved the wishbone, remove any stuffing you may have filled the cavity with (even if you only stuffed it with onions and carrots like I did). Lower the turkey in a large pot and cover with cold water. Place on stovetop and bring to a boil while you cut your vegetables. I use onion, carrots, celery, parsley, and peppercorns (no exact measurements required, just use what you've got). 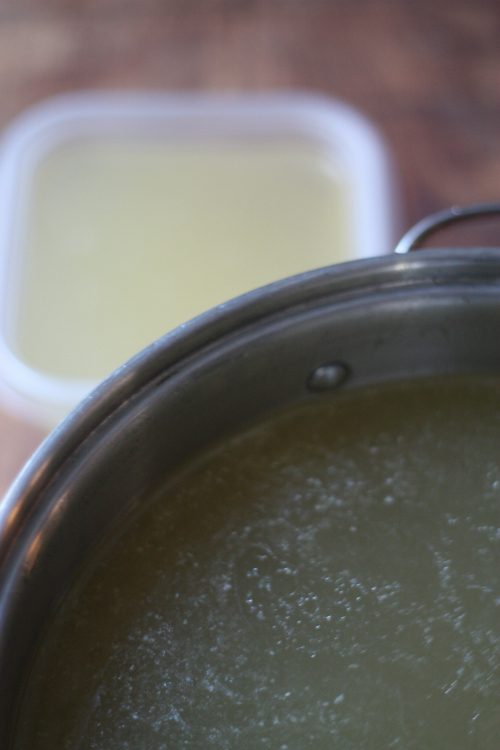 While the stock is cooking you want to skim off any grease that is accumulating at the top. At this point you can taste the broth to see if you need to add any salt or additional pepper. Do not add salt when you start the cooking process (your turkey may have been salty enough). After 3 hours I used tongs to remove the bones and meat, then I ran the broth through a sieve to remove any vegetables or bones that I may have missed. Discard all of the vegetables, meat, and bones. 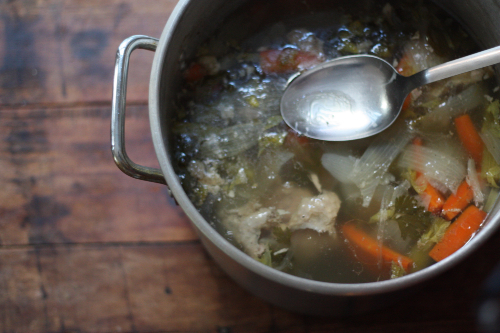 Set the broth aside and allow to cool. 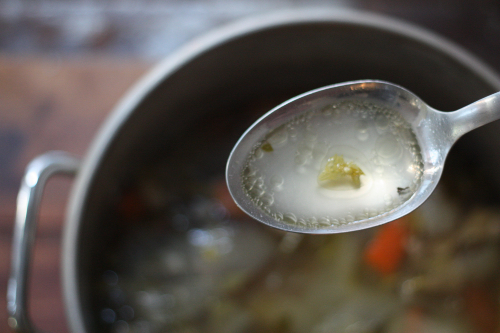 You might want to continue to skim the grease off the top as the broth continues to cool. 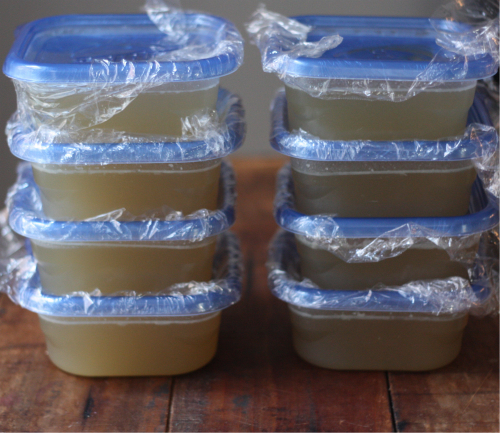 Once cool you can package as you see fit and I used some inexpensive containers that hold 2 cups of broth in each. 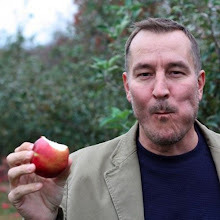 This will store in the fridge for 5-7 days or can be frozen and used within 4-6 months. I made a gallon and a half of broth with this batch! 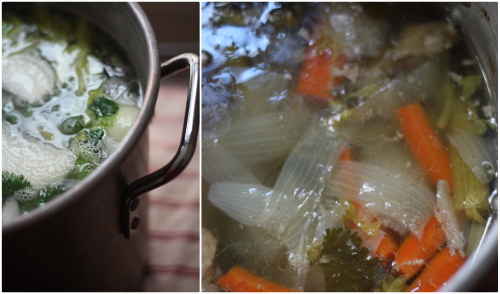 Most of the stock I froze, but I will be using some in a turkey pot pie coming to the blog later in the week! What has been your plan of attack with leftovers besides eating them? I am curious about what looks like plastic wrap under the lids of your containers...does it make the seal better? Thanks for asking and I should have explained that part although the explanation might be quite boring. Anytime my mom put liquids into a container she always started with a piece of plastic wrap in hopes that it would indeed provide a better seal and when you open it later it would hopefully help with spillage. Who knows if any of those things are true lets just call it a habit passed down from mom.